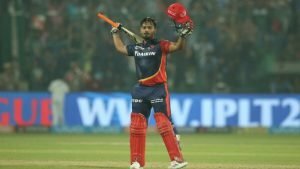 The Delhi Daredevils ruined Mumbai’s hopes of defending their title in IPL 2018. They won the toss and opted to bat first, setting a target of 174. Prithvi Shaw and Glenn Maxwell walked out to the crease to an adoring crowd at the Feroze Shah Kotla. Shaw was only able to hit 12 runs before being run out. Maxwell lasted 22 runs from 18 deliveries, who skipper Shreyas Iyer could only muster a paltry 6. But then, Rishabh Pant and Vijay Shankar stabilised the team. Pant smashed a fine 64 runs before he perished due to finding Kieron Pollard’s safe hands. In the end, Shankar and Abhishek Sharma finished off the job with 43 and 15 runs respectively. Then it was the Mumbai Indians’ turn at the willow. Delhi had nothing to lose but Mumbai had everything to lose. Opener Suryakumar Yadav was dismissed early, having scored 12 runs. Evin Lewis marched on and struck a mighty 48 runs before falling to Amit Mishra’s wiles. Ishan Kishan and Kieron Pollard could only muster 5 and 7 respectively before they were back in the dugout. Then the skipper, Rohit Sharma came out to add another 13 runs to the tally. Mumbai were clearly in trouble and in danger on not making it in IPL 2018. Krunal Pandya was subdued for 4 runs while Hardik Pandya scored 27. Ben Cutting attempted a revival with a quick 37 runs, but was losing teammates quickly. Mayank Markande squeezed out 3 runs and Jasprit Bumrah attempted to slog the ball for a six but was dismissed for no runs. Mustafizur Rahman remained as the last man standing as Mumbai fell short by 11 runs. On the bowling end of things, Krunal Pandya, Jasprit Bumrah and Mayank Markande snagged a wicket each for Mumbai. 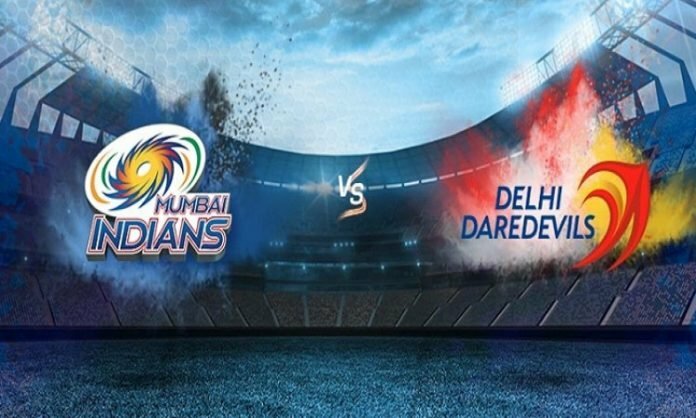 On Delhi’s side, Sandeep Lamichhane, Harshal Patel and Amit Mishra took 3 wickets each with Trent Boult picking up 1.